The young businessman, probably somewhere in his 20′s, recently visited the Playground Club in Liverpool where he spent close to 320,000 dollars (203948,80 GBP) on liquor. 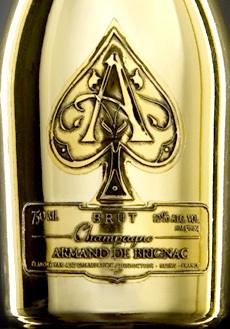 He ordered a 30-liter (6,6 gallons) bottle of the world’s most expensive champagne, a double Nebuchadnezzar of Armand de Brignac Midas (“Ace of Spades”). Bottle weight: Some heavy 45 kilos (99.2 pounds). Bottle price: A striking $200,000, and it had to be carried to the 20 year old’s table by the club’s employees. The British 20 year old has earned his fortune by trading currencies and he didn’t stop at the champagne purchases, but kept on ordering various bottles of liquor. He spent another $100,000 on himself and his company of 10 friends, including two 4.5 liter bottles of Grey Gooze vodka. His generosity did not stop at the massive amount of money he had already spent on alcohol, but continued when he invited every woman in the club to each have a shot as well as he gave away free drinks to all of th VIP guests. The staff were neither forgotten nor ignored, instead they were rewarded with a $30,000 tip.